And back we are with a list of some great books about Linux. Though this time, unlike our earlier post, we’ll be focusing just on Ubuntu. Ubuntu, which is the most popular Linux distro around, has been one of the principal reasons that Linux ever took off as a mainstream operating system. Before Ubuntu, Linux was almost inaccessible to the so-called ‘normal user’. And, even though Ubuntu, now, is as easy to use as Windows, or even Mac OS X, underneath those glossy icons and helpful tooltips lays a system that is so powerful only few people manage to understand. Just installed Ubuntu and don’t know where to begin? Oh planning to recompile the kernel are you? In any case, Ubuntu Unleashed has got you covered. Written by Matthew Helmke, the book 888-paged book covers Ubuntu from beginning to end. And not only that, this book will also teach you a lot of other things too. The book starts off with rudimentary topics like installation, post-install configuration, and basics of the desktop. 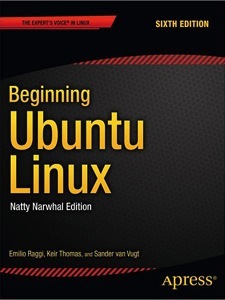 The first two sections will cover everything you need to know if you’re just starting with Ubuntu. From the third section on, the book starts touching upon more complex topics like system administration, user-management and networking. Don’t worry though, you’ll find ample examples and diagrams explaining each topic in detail. Even for descriptive topics like cloud computing you’ll find detailed but easy-to-understand diagrams. One thing I love about this book is that despite being so detailed, you’ll find screenshots even for some basic steps like installation and user management. In the final parts of the book Helmke covers programming. Though he doesn’t go much deep into it, there is enough coverage to get you started with coding. Beginning Ubuntu Linux is a good starter book for anyone who’s curious about Ubuntu, or even Linux in general. 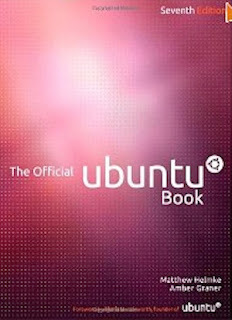 Published by Apress, this book will teach you everything you need to know about the Ubuntu operating system. Unlike the aforementioned Ubuntu Unleashed, Beginning Ubuntu doesn’t dive into the installation directly; instead, this book first runs you through a list of reasons you should be using Ubuntu. Then, the author goes on to explain Linux, its history, its relationship with GNU and more. In short, it’s a great way to educate soon-to-be Linuxiens about the system they’ll be using in future. 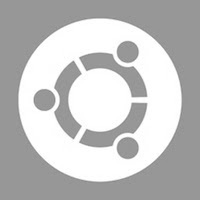 Being new, Beginning Ubuntu Linux also touches briefly upon concepts like Chrome OS and cloud computing. Once the introductions are over, the author guides you nicely through the basic installation steps. Here, you’ll find screenshots for even what Linux pros consider as ‘simple’ tasks. To make sure readers get it right, the installation chapter starts with a detailed explanation on how to make space in Windows before moving to Linux, that too with proper description and screenshots. From then on, you’ll learn everything that is there to be known about Ubuntu step by step. Though most of the book is spent teaching Linux users how to get basic things done (installing software, using LibreOffice, etc. ), its final chapters do touch upon some more complex things like backup, task-scheduling, and using root. At the end of the book there’s a nice little guide to the BASH shell that includes a nice, tabulated list of all the essential commands. What I love about this book is that it doesn’t tell you to RTFM, it just guides you slowly through each and every step assuming you’re learning it all for the first time. (In fact, there’s even a short section explaining how to read man pages). So, if you’re a seasoned Linux pro, this book isn’t for you, but if you are an evangelist, this book will definitely help you convert many Mac and Windows users to the bright side. The book starts off with a small introduction to Ubuntu, FOSS culture, the community, and some history of the operating system. From that point on, it dives into the basics like installation, usage, and configuration. Though it mainly sticks to basics, there is a chapter about Ubuntu Server too. The book, when compared to two of the aforementioned Ubuntu-related books, is a bit different; mainly so because it focuses very deeply on Ubuntu. In fact, I was pleasantly surprised to see things like Ubuntu Code of Conduct, Launchpad, and other Ubuntu-related projects in there. Moreover, there’s a whole chapter on the often-ignored Kubuntu. Of course, the book, at the end, dabbles a bit into some relatively complex things like the command line; but overall, the book is super friendly for desktop neophytes. Though you won’t get to know much about ‘how it all works’ and stuff, you’ll definitely be able to use Ubuntu like the way it was meant to be used. 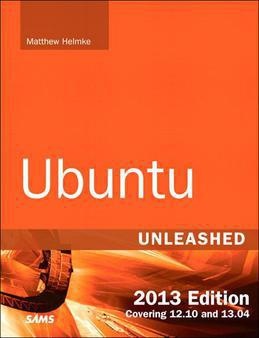 If you have someone completely new to Ubuntu, I’d suggest giving him/her this book along with Beginning Ubuntu Linux. This is a relatively short book that will teach you to use Ubuntu like experts. It covers the basics too, but it mainly focuses on how to use Ubuntu using commands. This book is a collection of 100 tips and tricks teaching you how to install, configure, and customize Ubuntu. Though it covers a lot of expert stuff, it’s still very accessible to relative newcomers.